Located just a few blocks from the resort youâll find this luxurious Cimarron townhome spanning over 3,000 square feet. The main level of this property features a massive stone fireplace, cathedral ceiling, glorious picture windows and a direct view of the gondola. Sold fully furnished, enjoy plush leather seating, oriental rugs, exquisite lighting fixtures and an open floorplan. A private hot tub on the covered main level deck is an escape in and of itself. The kitchen comes equipped with Viking appliances, granite counters and bar seating. The upper-level master suite includes a warm gas fireplace, multiple walk-in closets, jetted soaking tub and views of the Yampa Valley. The upstairs, lofted entertainment room and home office complete the floorplan and gives your family and guests plenty of room to roam. 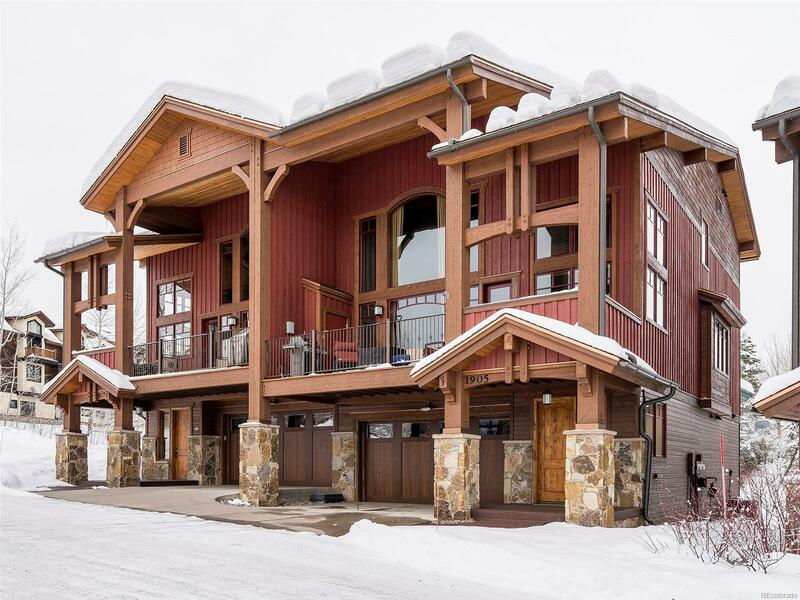 On-site at this property youâll enjoy an outdoor heated pool, hot tubs and fitness center while a private winter shuttle can get you to and from the slopes in a breeze.